As I mentioned in my last point, I’m counting down the last few weeks in what has been six years of 2 to 3-night a week practices, and weekends spent in gymnasiums for volleyball tournaments. Last weekend was the 6th and final (for The daughter and me) Ontario Volleyball Provincial Championships. The event, held at RIM Park in Waterloo, Ontario is a well-run event, covering 3 weekends, with two waves a day and 28 courts. Usually there for only one of the three weekends, we were there for the first and last weekend since The Daughter was first a coach and then an athlete. 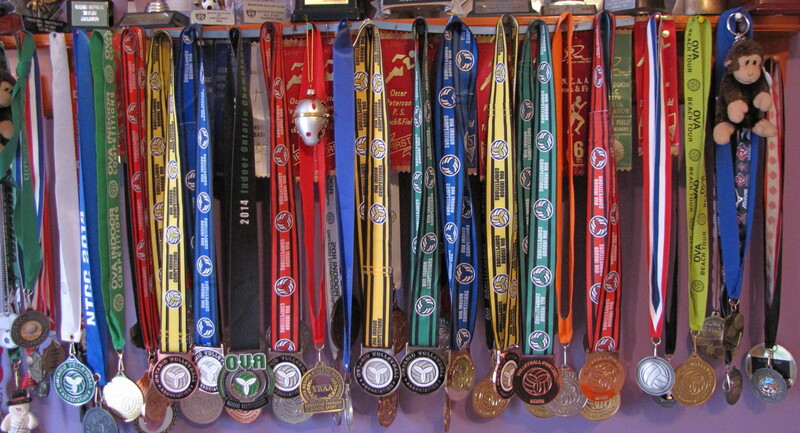 Tied for 5th, the girls came away with no medals, but I think The Daughter has accumulate quite a bit of a stash over the past years. 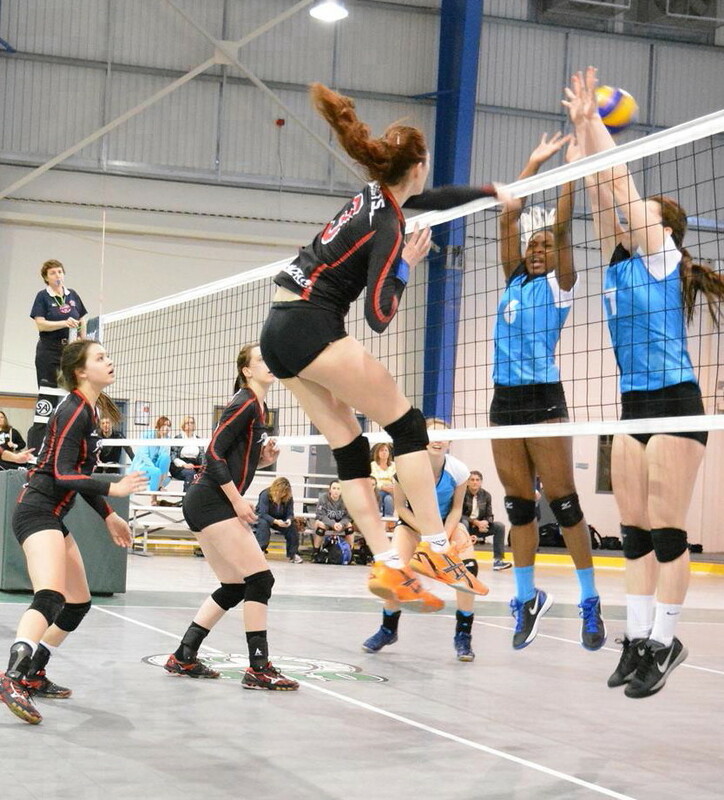 In two weeks we head to Calgary, Alberta, for what will be the final tournament of her pre-university play, the National Volleyball Championships. This entry was posted in Charlotte Copper, Volleyball by Charlotte Copper. Bookmark the permalink.